Settle down, today’s class is about tipping wood ash from the fire onto things. Here in Las Alpujarras we’re surrounded by citrus, olive and palm trees, bourgainvillea, grape vines and various other plants. It’s early November and the jasmine is flowering and oranges ripening. We planted a herb garden recently which is doing well despite several chilly nights when we’ve chosen to light a fire. A mini-mountain of wood ash has already built up. The chopped wood – and bits we find for kindling – we suspect is a mix of citrus, olive and eucalyptus tree. So, what to do with the ash? If you’re a gardener you’ll know that soil pH is the measure of its acidity or alkalinity. Some plants will love one or the other, most somewhere in between – neutral soil. We weren’t going to chuck the ash onto the nearest plant or tree before understanding the best place for it. Chemistry classes were a lifetime ago so we reacquainted ourselves with the pH scale – 0 (acid) to 14 (alkaline). For example, lemon juice is around 2.0, black coffee 5.0, wee 6.0, pure water 7.0, sea water 8.0, toothpaste 9.0 and caustic soda 14.0. 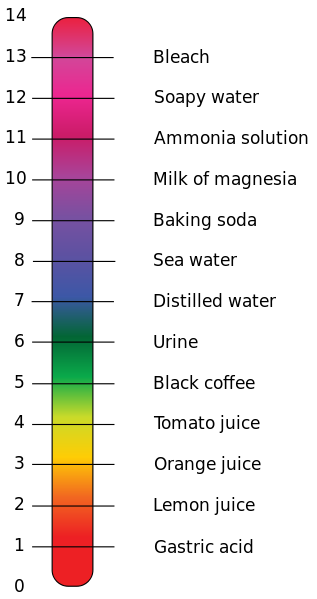 A soil with a pH value below 7.0 is acid and above 7.0 alkaline. A pH of 7.0 is neutral. 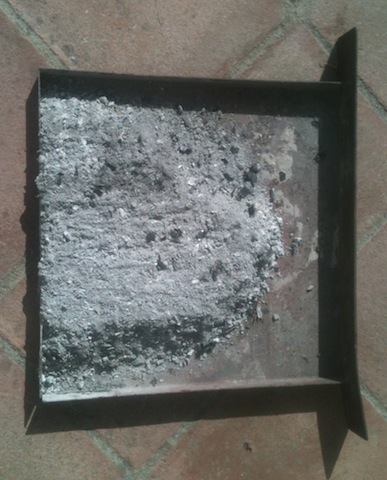 Depending on the type of wood, age, temperature level while burning, wood ash can be between 9.0 and 13.0, so it raises the pH level making the soil more alkaline. There’s no point on using it for things that like acid or neutral soil, or if the soil is already alkaline. Our garden has loads of citrus and olive trees. Citrus trees like a pH level of 6.0 to 7.0. Yellowing leaves, which we’ve not seen, would indicate it’s too alkaline. Olive trees like 5.5 to 8.5 and grapes 6.0 to 7.5. So the soil here seems to be neutral as they all thrive. The herbs like slightly acidic soil – basil, parsley, sage and rosemary liking a pH level around 5.0 to 6.5. Only time will tell how well they do (and we need to cover them at night before the temperature drops too low). The roses also like more acid soil but are doing just fine. Vegetables, generally, grow best in soil with a pH of 6.5 so for this garden, we wouldn’t be adding any wood ash. We would only add it if the soil was acidic or we were growing stuff that likes more alkaline soil – for example: wisteria, plum, honeysuckle, clematis, iris and chrysanthemum. If it’s to go anywhere, the olive trees look the most likely. Just not the herb garden.